» IIEA on Brexit and the Climate: The harder the Brexit, the hotter it gets? 1. Remain: a reversal of the decision to leave. 2. 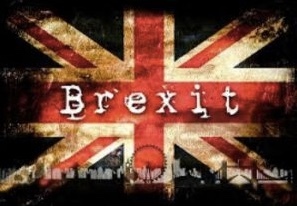 Soft Brexit: UK remains in the EU single market and customs union; remains subject to the jurisdiction of the European Court of Justice (ECJ); and, continues with free movement of workers. 3. Hard Brexit: UK leaves single market and customs union; and, adopts environmental and other EU legislation as domestic law. The IIEA recognizes that Remain is unlikely as it would require a reversal of the public referendum held where the UK public voted in favor of the Brexit (52-48%), albeit Scotland (62%) and Northern Ireland (56%) voted to remain. Overturning the expressed will of the people, or at least 52%, in a political U-turn for the Conservative party would not be an easy sell. Yet the UK economy is stalling somewhat, inflation is on the rise, and other adverse financial consequences are predicted. Moreover, PM May barely held onto the government in the recent election and polls suggest that a narrow majority of British electorate favour remaining. Still, as we said, it would not be an easy sell to reverse the referendum. In the other extreme, the Ultra-Hard (or perhaps Alt-Hard) Brexit, the UK government leaves the EU and uses that action as an opportunity, or excuse, to cut bureaucratic red-tape, the favorite bogeyman of the reactionary Conservative party wing and much of the business-leaning press, and groups like Red Table Initiative. The rationale is that the UK could conduct its own affairs, and notably its businesses, based solely on its own domestic regulatory standards. Of course this is a bit of wishful thinking as any UK business that wants to sell products in the EU will still have to comply with a range of EU product standards and regulations. The IIEA report points to numerous environmental policies or practices that will be in jeopardy with a Ultra-Hard Brexit. Cheap fossil fuels may return to favor (did they ever leave? ), to provide businesses and industries with a competitive advantage; regulations over building energy efficiencies and vehicles, now set by the EU, may disappear; the UK Climate Change Act and carbon-trading under the EU Emission Trading Scheme (ETS) would likely be in jeopardy; and the UK pledge to the Paris Accord would be uncertain. But the Ultra/Alt-Hard scenario is probably more likely than the Remain scenario, as the drift, at times a march, toward less regulation and less proactive environmental policies, including on climate change, has been in progress since the re-emergeance of the Conservative party. We have seen the rush for fossil-fuel fracked gas, with control over local fracking decisions taken over by the national government; an energy policy that flounders, and often undermines support of renewable energy sources, all the time pushing for nuclear energy with its massive government subsidies; a refusal, despite court orders, to adequately address the increasing risks and health consequences from polluted air in London and just about everywhere else in the UK. In a Soft Brexit, it is assumed that the UK remains in the Single Market and custom union, comparable to Iceland, Norway and Liechtenstein, as well as in the EU ETS. This would entail continuing to accept the jurisdiction of the European Court of Justice (ECJ). There would still be free movement of EU citizens to and from the UK, and the UK would still be liable for contributions to the EU budget. It is further assumed that the UK would no longer participate in the EU climate policy and commitments. One implication drawn out in the IIEA report is that the UK contribution the EU pledge on the Paris Accord would disappear. It would be likely, then, that the EU pledge would be subject to modification. Either the EU would have to redistribute the equivalent of the UK reduction among the other Members of the EU, to meet its pledge, or it would have to reduce its pledge in an amount equivalent to the UK share. One would suppose that the other EU Members would be reluctant to take on the burden of making up for the absence of the UK commitment. Indeed, why should they eat the UK share? Why shouldn’t the UK be expected to simply adopt its part of the EU commitment as a stand alone UK pledge to the Paris Accord. Of course, the UK could choose to simply walk away from the Paris Accord, like Trump, but that seems unlikely. While the IIEA report suggests that the UK Climate Change Act should help protect the UK national climate targets from being abandoned in a Soft Brexit, this is not assured as the UK government could rescind the Climate Change Act, as the IIEA assumes in the Hard Brexit. In the Hard Brexit, the IIEA report assumes the UK leaves the Single Market and ETS, and rejects any control or influence by the ECJ. It seems that the UK wants to withdraw from the Euratom treaty, regulating the nuclear industry across Europe, in large part to avoid any jurisdiction by the ECJ over the issue. Finally the majority of EU legislation on the environment, and almost all other social and health matters, would have to transposed into UK law. Of course, the UK could also choose to abandon or weaken any such legislation. Under the Hard Brexit, the UK would abandon any sharing of climate targets. The report suggests that under this scenario there would not be a radical shift in the UK domestic climate policy, largely on the grounds that the UK has set a carbon price controlled not by the EU but by UK domestic policy. The report does add that this assumes that the domestic commitment to climate change is maintained. That could be a large assumption if the UK economy starts to weaken with Brexit and the Conservatives have to answer to their business/industry constituents, not great fans of climate change obligations. As with the Soft Brexit, this scenario would require either a EU renegotiation of its Paris Pledge, internally or with the Paris parties, or a commitment from the UK to the Paris Accord that matches its current share under the EU umbrella. The IIEA report asserts that the UK has traditionally played a leadership role in advancing the EU’s climate policy, but that claim needs to be taken with a grain of salt. The UK government under the Conservative party is not the same UK as that under Tony Blair’s Labor party, and the UK climate change policies and Act owe much to Blair’s leadership on the issue. As noted above, the Conservative party has been less than proactive on many environmental issues and others have argued how and why UK Conservative governments have consistently resisted environmental initiatives. See, e.g., Vichcales in Sources. Let’s not forget that in the 1970s and 1980s, the UK had the reputation as being the “Dirty Man of Europe,” in large part because of its reliance on voluntary “controls” over pollution. Indeed, at this moment the UK government is vigorously moving to block strong EU regulations on energy efficiency even though those regulations will not take effect until after the UK exits the EU. Now why would the UK put in such efforts for something that won’t affect them when they exit the EU? Possibly they are not sure to what extent, if any, the UK will participate in EU energy markets after Brexit, and they are hedging their bets. Perhaps it is not necessarily cynical to think that weakening EU regulations can benefit the UK after an exit since they can use the weakened EU regulations to justify weaker regulations at home. At the same time, it is also fair to say that within the EU the UK governments have often been on the progressive side of environmental issues, at least in comparison with the more reactionary wing of EU Member states. But the EU may have influenced the UK as much, if not substantially more, than the UK has influenced the EU on environmental issues. With Brexit that EU influence will likely dissipate under the Soft exit or disappear under any Hard exit, and the natural roots of UK conservatism will take stronger hold of environmental policies and practices. That’s not a pleasant prospect for Northern Ireland and the rest of the UK. Joseph Curtin, “The harder the Brexit the hotter it gets? Exploring impacts for climate policy,” The Institute of International and European Affairs (IIEA) (5 July 2017). Anca Gurzu, “UK fights energy plans that won’t kick in until after Brexit: Britain opposes deal on future EU energy efficiency rules,” Politico EU (18 July 2017).